It is surprising how many people use this unfriendly path. 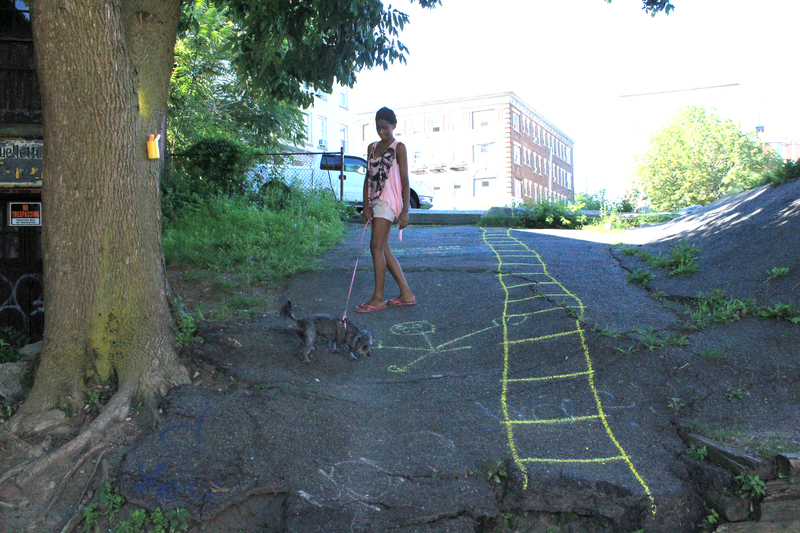 Families with their children scale the asphalt, others rush by on their pedestrian commute, some simply explore. For such a little sliver of space, this sure boasts plenty of use value – just think of how many people would use it if it were actually inviting – and safe! Unfortunately, this short cut will soon disappear altogether – it will be part of a new development. This useful path has been sold and it will be absorbed into the development, integrated as a superblock – a block much larger than the surrounding blocks that impedes fluid traffic flow, in this case, pedestrian. One of the most successful private development and public space projects of the Twentieth Century is the Rockefeller Center in New York City. 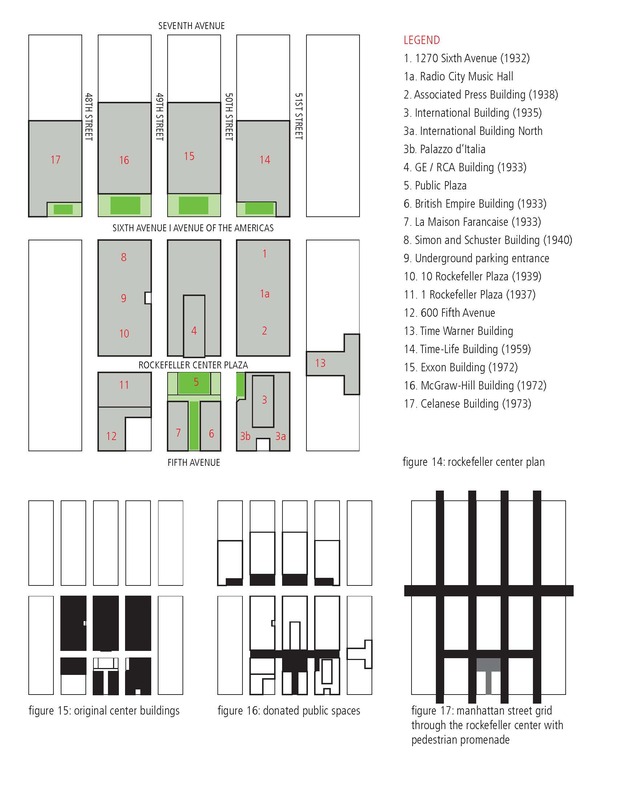 The scale is much grander in all respects than the little path that connects Dodge Street Court to Washington Street; the concept is the same: design for fluid traffic flow to integrate a project with its context. The development donated public space to the city, including the new street “Rockefeller Center Plaza.” In the case of the Rockefeller Center, the plan actually added to the already porous and pedestrian friendly grid. Of course, in our Salem example, the connective piece is now in private hands, so what is to be done? 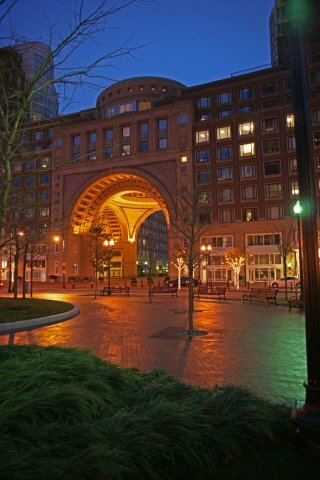 I suggest using a Boston example to satisfy the private development needs and provide a useful connection for public use: the Boston Harbor Hotel offers a threshold and throughway from the Rose Kennedy Greenway to the Harborwalk – a private public access that was in fact constructed before the Big Dig was completed. From the grand example, to our smaller opportunity: a small path would be useful and appreciated by the public, especially during the winter months when the snow piles high and even the most avid short-cut takers are deterred off their course. This entry was posted in Uncategorized and tagged big dig, Boston Harbor Hotel, community, engagement, photography, public access, Salem MA, superblock, the point, the point visioning plan by jellybeancity. Bookmark the permalink.